Provide comfort for the family of Earline Williams with a meaningful gesture of sympathy. 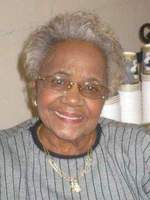 Earline Mable Williams departed this life at the age of 91, in Hospice of Northwest Ohio on March 30, 2019. Earline was born October 6, 1927 to Alberta McNeary and Robert Theodore Washum in Cairo, Illinois. She attended Summer High School in Cairo Illinois where she graduated, she then later moved to Toledo, Ohio in 1950. Earline worked several jobs she was employed at Hunts Foods, Gladieux Food Service, Jeep and Libby Glass until she retired at the age of 62 years old . Earline was a devoted family woman. She was married to Theotis P. Williams, to this union she had five children, Yvonne E. Steele, Olivia P. Barker, Theotis P. Williams, Ronnie P. Williams and Michael P. Williams all of Toledo, Ohio. She divorced and later united with George W. Carter, to this union three children were born, Sonja L. Carter-Haynes, Latachia A. Williams and Anthony Q. Carter. Earline attended Indiana Baptist Church back in 1950, where she sang in the choir for a long period of time, although no longer singing in the choir she still remained a long time member until her illness. Her hobbies were watching basketball, football, softball and horse racing. Earline was a loving and devoted mother and grandmother and had a passion for cooking and playing cards with her family and friends. Lovingly known as "Mom", "Nana", "Mable", "Honey Grahams" ,"GG", "Muk Muk" , "Granny", she loved all her children, grandchildren and great grandchildren. She was preceded in death by her parents, Alberta McNeary, Robert Theodore Washum, George W. Carter, daughter, Olivia P. Barker, sons, Ronnie P, Michael P., Theotis P. Williams, and Anthony Q. Carter. 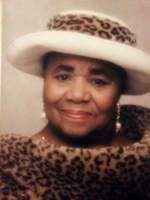 Earline leaves to mourn her passing daughters, Yvonne E. Steele, Sonja L. (Johnny) Carter-Haynes, Latachia A. Williams, all of Toledo, Ohio and Eva (Ron) King-Dorsey of Atlanta, Georgia; stepson, Wayne W. Carter of Toledo, Ohio; special God-daughter, Hattie King; 18 Grandchildren, 44 Great Grandchildren, Special cousin’s, Bobby Mays and Charlotte Mays; cousins, special friends of family, Waymon Bocum, Al Lane; special son in-law, Noah (Angie) Britt; and a host of other family and friends. The family of Earline Mable Williams acknowledges with heartfelt thanks to everyone for their many act of kindness, love and concern. We would also like to thank Hospice of Northwest Ohio nurses Jessica, Jennifer counselors, Unique Home Healthcare Services nurses and aides. A warm special thanks to Pairs Scott nurse and her aid Crystal Spencer of Toledo, Ohio and The House of Day Funeral Services for the care and compassion and concern shown to our mother at the time she most needed it. To send flowers in memory of Earline Mable Williams, please visit our Heartfelt Sympathies Store. Provide comfort for the family of Earline Mable Williams by sending flowers.